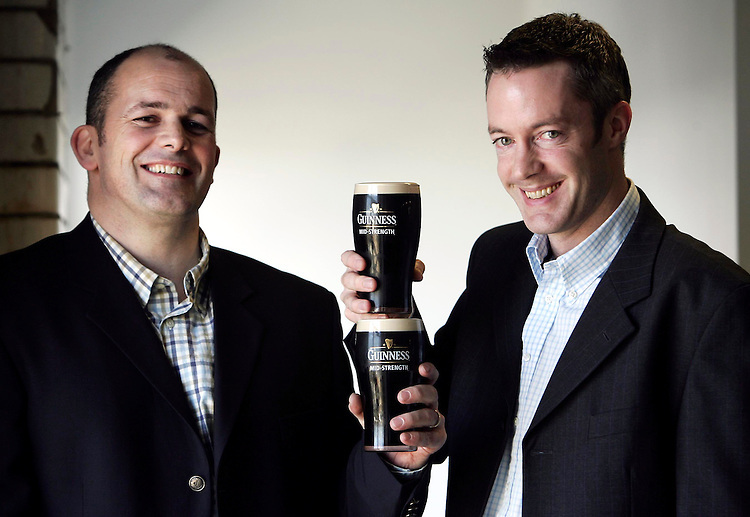 Paul Norris, Marketing Manager, Diageo Ireland (left) and David Madigan, Guinness Brewer pictured here in Guinness Dublin with the newly announced Guinness Mid-Strength stout. Pic. Robbie Reynolds.